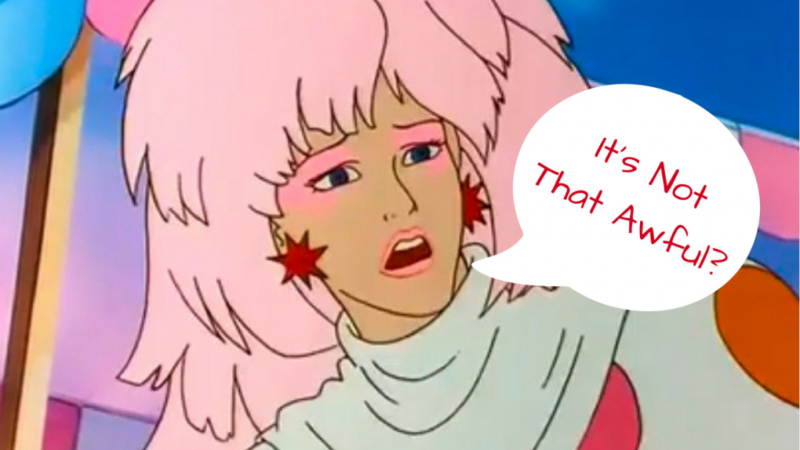 Unlike the Transformers or Scooby Doo or many other children’s cartoons, Jem hasn’t been redone to death. We aren’t used to it changing and evolving with the changing times. It’s been deep, deep in the nostalgia pit for years. Most people don’t know what Jem is, and the people that do are the sort of dedicated fans who know the original material inside and out. To an executive, this seems like a great property to reboot–it’s so dead they could do just about anything with it. But instead, it’s so long gone that resurrecting it just seems unholy. This film does try, oh does it try, to pander to Jem fans. There’s a million and twelve callbacks to the lyrics of the original theme song–hearing someone say “glamour and glitter and fashion and fame” in a deadpan voice sounds really off, by the way. 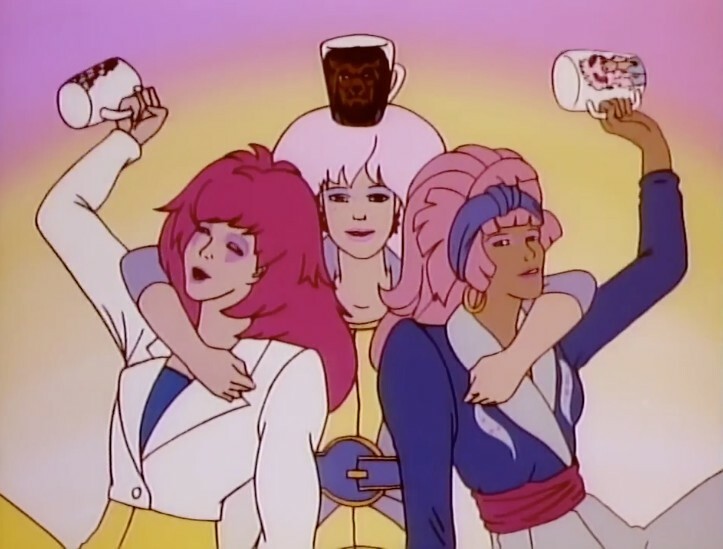 The last scene of the film, which introduces some Jem nemeses for a sequel that will never happen, is almost cool until it runs smack into the brick wall of Too Much. Jem fans are literally in the movie; fans had a period of time where they could submit videos about why Jem matters, and the finale caps with actors playing “fans” giving a speech over social media that could have come from any of the videos, just a little more polished. It definitely acknowledges fandom and tries to bring it in, but it underestimates how easy it is for a studio film to ring the pandering alarm in a fan’s head. Oftentimes the videos of fans are cut in right when we need to have a surge of feeling for Aubrey Peeple’s Jem. I’m a huge sap, so it worked on me in the moment, but it feels like a pander in retrospect. 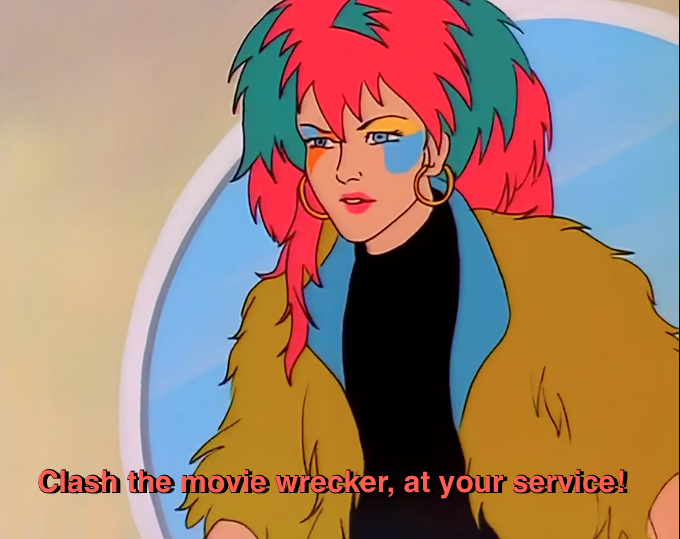 Also, the fans being used weren’t informed that their unironic love for 80’s Jem would be reframed as a love for 2015 Jem, and they didn’t like it. This film also chooses to use gay fans in a way I’m not sure how I feel about it. 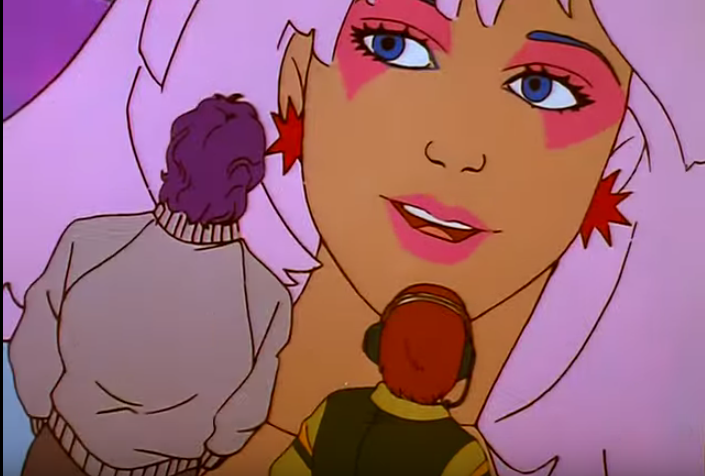 Jem and the Holograms is famously loved by the gay male set; the voice actress for the original Jem wrote a song called “Jem Boy” dedicated to her male fans. (It actually looks like she got a cease-and-desist for that one, because the official music video I swear I watched with some friends in college has disappeared from the internet.) At each of the concerts in the film, there’s always at least one young man in the front row who reads as gay at first sight, and the fan videos, both real and scripted, include men and boys that read as gay. (There are also straight male fans in the film.) 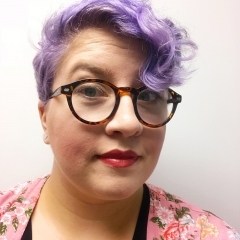 It’s really unique to see a film A) acknowledge fandom and B) acknowledge queerness in fandom, so that’s honestly amazing. But with so much of the rest of this film feeling like they tried so hard they broke something, it leaves open the dark suspicion that this was pandering all along, rather than an honest effort to simply reflect fans as they are. The film also tries to pander to the YouTube generation throughout, opening the film with a YouTube montage and intersplicing drumming videos during moments of tension. That was funny the first time, but they keep doing it, and again, it feels very try-hard. The opening montage honestly does a pretty alright job, so I think the drumming could’ve been left out entirely; we would’ve remembered that this film is Hip and With It anyway. The drumming also helps to highlight how little music, overall, there is in this film, which doesn’t help it seem less cheap. The film is otherwise…functional, and fine. It’s a girl music movie, with an added subplot about a robot and holograms. (Synergy is a cutesy BB-8-like robot in the film, which honestly bothered me the most out of anything.) It doesn’t break new ground but this kind of film doesn’t need to.The prototypical “girl gang” flick is characterized by a down-to-earth girl and her loyal friends working, fighting, and ultimately rising to triumph, and this film pulls all that off just fine. 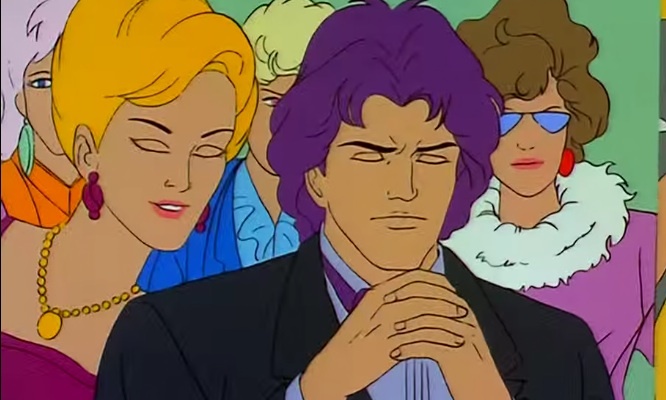 I was surprised with how fine I was with some of the changes to the basic Jem plot; for example, Eric Raymond is now Erica, and Rio’s mother. Erica Raymond feels like the right tone for the Jem’s primary rival in this day and age. 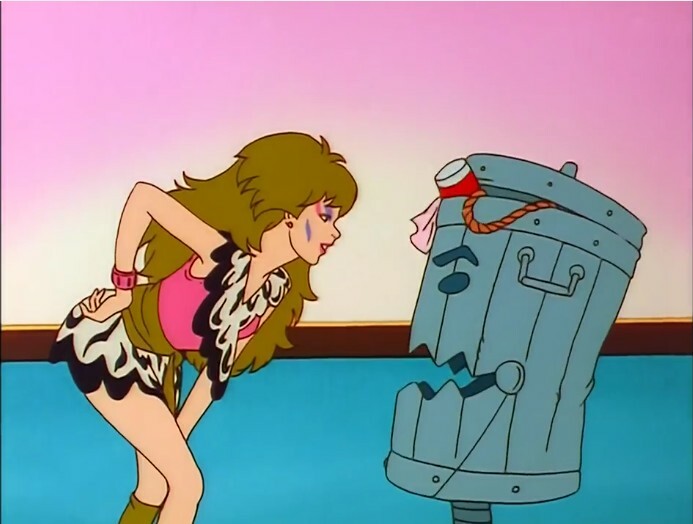 A polished woman controlling Jem’s image in an iron claw feels a lot more realistic. Last but not least, it should be mentioned that the film passes the Bechdel test with flying colors, and squeaks by on having two characters of color interact. With Eric Raymond now Erica, 95% of this film is about women and their music, and despite a romance blooming between Jem and Rio, there’s no girl-talk scene. This shouldn’t be refreshing, but it really is. This film is flawed. Overall, it’s not…especially good. But if you’re a fan of girl-type films, I think it can satisfy, and for Jem fans, I think it’s worth watching to see how it hits you. As much as I felt like it was trying too hard to reach me, the fact is that I do care about Jem, and seeing a new interpretation of her felt interesting. It’s not a successful reboot, but realistically, nothing’s ever going to come close. Have you seen this film? Let’s discuss it in the comments below or on Twitter. All images in the article obtained via screencap of the original cartoon.